My girlfriend and I celebrated our anniversary at Rodney’s Oyster House this year. The reason we picked Rodney’s is because they had a variety from their Happy Hour menu. 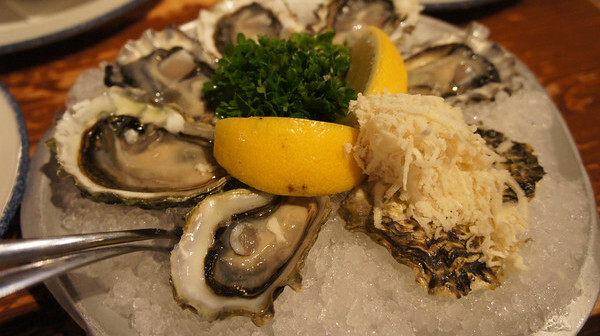 Their raw oysters are $1.50 per shuck. 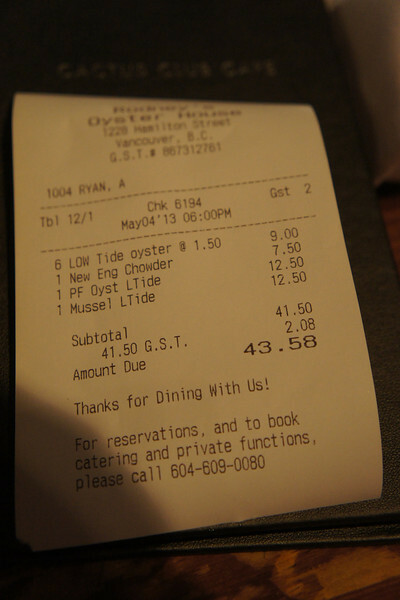 More expensive than most places, but the sweetness and size of the oysters made up for it. The oysters were sweet and fresh. Presented nicely on a sheet of ice. 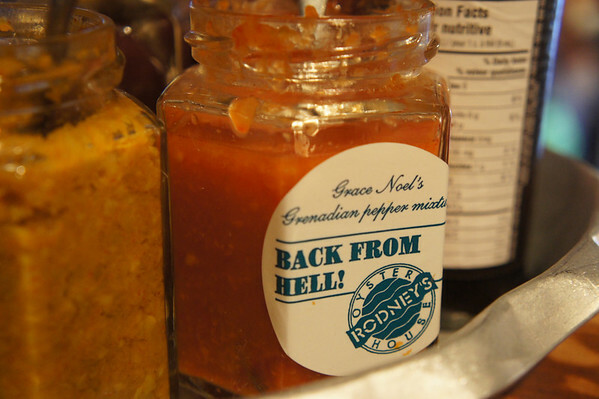 Aside from lemon wedges and horseradish, Rodney’s offers a variety of sauces from not spicy to flaming hot. Some people like their oysters plain but I like mine with sauces. Not a whole load, but just a tiny bit. 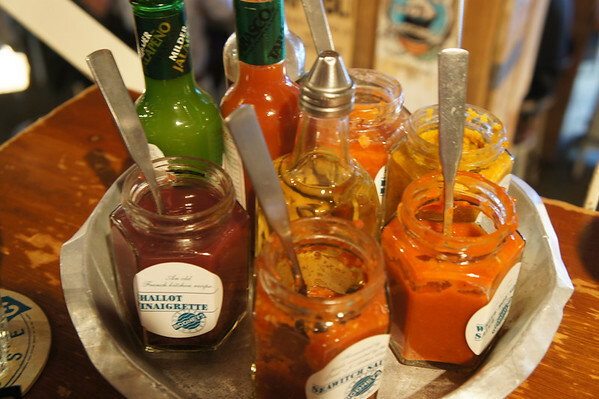 I especially liked their seawitch sauce, which was not very hot and I can still enjoy the sweetness of the oyster. We were recommended the Slapjack, which I will probably try next time. 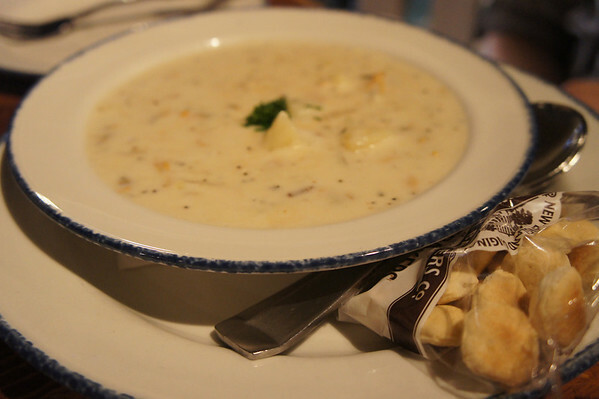 But we ordered the New England chowder, not on their Happy hour menu. It was served with oyster crackers. The clam chowder was too bland for my liking. The thickness was just right, a little bit more taste would have been excellent. 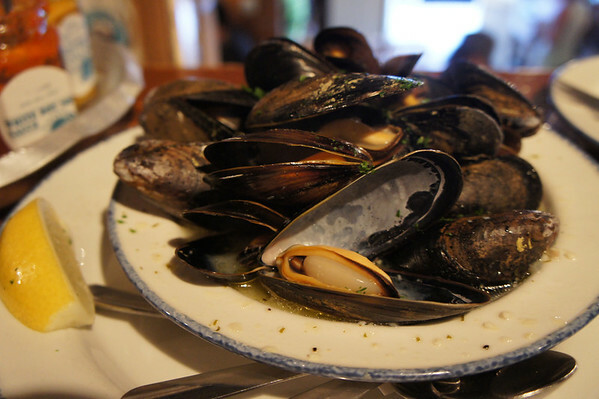 We had the steamed mussels from their “Low Tide” menu. It was steamed in dill butter, garlic and wine. This was extremely flavourful, I wanted to thirst for more! The wine sauce was good that I could drink on its own. Hands down! 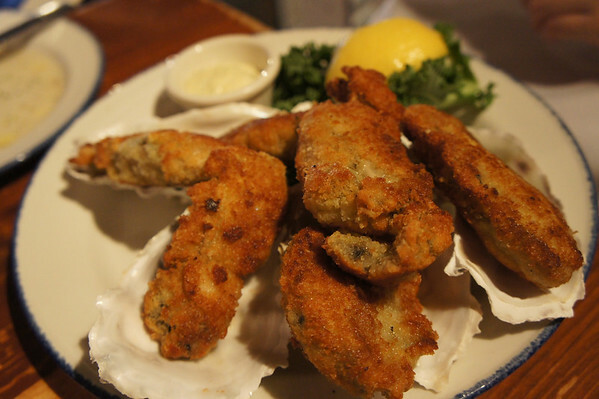 These were probably the best pan fried oysters I’ve had. 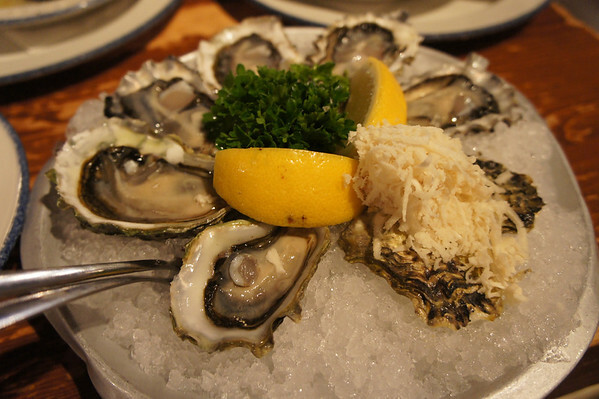 Freshly shucked, lightly breaded and served with their in-house tartar sauce. Don’t forget to squeeze the lemon wedge. Soft and tender on the inside but light and crispy on the outside. Considering this is a seafood feast, this wasn’t bad. We were seated immediately as we walked into our reservation. Sitting upstairs by the edge gave us an excellent view of the entire restaurant. We saw all the excitement from shucking oysters to preparing cocktails. It was pretty busy on a Saturday evening. Our server was extremely pleasant and explained the menu thoroughly. (Though my girlfriend had read that there were some bad experiences with service here.) On the whole, I thought that Rodney’s Oyster House is a great place for oysters and to wind down the day.